A custom designed HTML5 player to replace the usable, but very limited built-in player. Support for Vimeo and Facebook video. The ability to switch video resolutions within the player, without having to access Safari’s preferences. Support for downloading videos from YouTube and Facebook. A fully functional volume control, rather than just a mute button. Support for displaying the video’s title, author, and source, in a video overlay, along with a link back to the video’s page on YouTube, Vimeo, etc. To download a video to your computer, right click on any of the format names and click “Download linked file”. Unfortunately, this only works on YouTube and Facebook, Vimeo is a bit smarter about blocking downloads, so you’ll simply get an “Access denied” error. This version also uses a different method for replacing flash videos with their HTML5 equivalent, which is much more reliable and also works on dynamically loaded videos, such as videos posted to a Facebook profile. The extension should update automatically to the new version. New users can download YouTube5 here. 2.1.0: Added option to disable autoplay of videos on YouTube.com, along with a system for displaying video errors. 2.1.1: Updating support for YouTube after changes to their internal URLs. Thanks to gugod for the fix! 2.1.2: Fixing YouTube channel pages after URL changes. 2.2.0: Fixed Vimeo and Facebook support again, added revert to original player link, made clicking on the video play or pause, added persistent * volume level, and enabled 240p FLV option for YouTube. Note: For FLV video to work you must have Perian installed. 2.2.1: Minor update to make the new “use original player” link display when an error occurs. 2.2.2: Fixed Vimeo support and enabled HTTPS on YouTube. 2.2.3: Fixed Facebook support, and added a hack to make videos on Facebook work even with flash uninstalled. 2.2.4: Hacks to enable on Facebook and YouTube with flash disabled. 2.2.6: Fixed YouTube support after their update on 8/3/2011 broke YouTube5. Thanks to vinnyrose for the fix! 2.2.7: Supplemental update to fix an issue preventing embedded YouTube videos from loading. 2.3.0: Moved player out of an iFrame, which fixes issues with YouTube channel pages and several other sites. Added system to display the video title * and author before it is played. 2.3.1: Minor bugfix for player size detection that affected compatibility with the YouTubeWide extension. 2.3.2: Major internal refactoring, and fixing Vimeo and Facebook support. 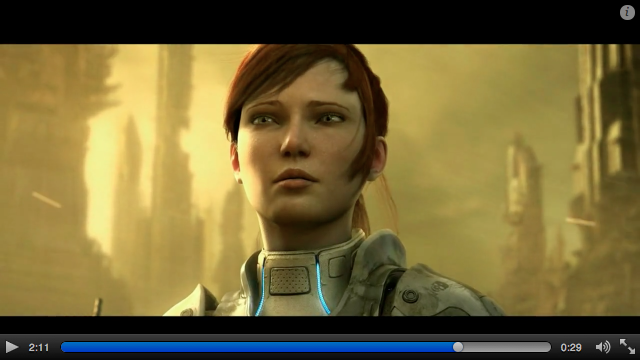 2.4.0: Added pop-out feature to allow viewing videos at a larger size. 2.4.2: Fix for YouTube compatibility. 2.5.0: Added keyboard controls and new fullscreen appearance. 2.5.1: Adding support for YouTube start times. 2.5.2: Hiding mouse cursor whenever the controls hide (fixes fullscreen mouse cursor issues). 2.6.0: Adding plugin blocking functionality, improving keyboard shortcuts, and fixing Facebook support. 2.6.1: Fixing issue with blocking iFrames. 2.6.2: Fixing support for Vevo videos and most of YouTube. 2.6.3: Fixing issue with YouTube when plugins are disabled. 2.6.4: Fixing issue with duplicate audio playback on YouTube. 2.6.5: Fixing clicking on suggested videos on YouTube. 2.6.6: Improving compatibility with Feedly. Q: What videos will work with flash completely disabled/uninstalled? A: At present, only videos on www.youtube.com and simple embedded videos will play if you do not have flash. This is because many websites (including Facebook) detect whether you have flash available before they even attempt to display the video. This makes it impossible for YouTube5 to intercept the video and replace it. I hope to find a solution to this issue, but for the now you will need to have flash installed for these videos to work. Q: Why is there no 480p resolution option for YouTube? A: The 480p resolution is encoded with flash, not H.264. For the HTML5 video player to play these videos, you would need to have a special codec installed for Quicktime. Q: How do I download a video with this extension? A: Right click on the name of the format you want in the info screen and click “Download linked file”. Or see this video.